There's a really excellent thread on the CoTH Dressage forum right now titled "Why does there seem to be a second level wall?" The answers have ranged from "not enough time", to "would rather school flying changes and wait to show at 3rd" to "double bridles are allowed at third" to "the second level tests are awkward" to "it's where the holes in your aids and training show up." That thread, along with my lessons lately, have been making me think a lot, and I'd love to hear your opinions too. My trainer is really on to something with focusing on getting me to ride from my seat, and getting my seat positioned properly to conduct Connor's energy properly. The way Connor moves has changed a lot in the last month - it feels like we're moving slower, but covering the same amount of ground with fewer strides. Less racing with his front end, and a whole lot more sitting and energy production from the hind end. I have also felt self-carriage for the first time ever in the past few months. For the first time, I can really see the allure of pure Dressage - but it took years of work to get to the cool stuff. I think that's why people don't "get" or gravitate toward Dressage in general - because it takes so much time and effort to get to where it feels cool. Jumping feels cool from the first time you jump a crossrail, even if it's not perfect. Dressage takes drilling on both your part and your horse's part, hours of practicing things that a lot of people describe as "mind-numbingly boring" until one day you get one stride of true self-carriage that is just awesome, and you want MORE of that feeling, and then you're hooked. I am no industry expert, and I have never shown past Training (though we would be showing 1st/schooling 2nd now if I was interested in doing a straight Dressage show at this time), but it seems to me like people don't make it past 2nd because it means you've slogged through all the "boring stuff" (or maybe even enjoyed it), spent hours chasing away your positional demons, and you've decided you WANT to be a Dressage rider - not an eventer playing at Dressage, or someone trying to give your baby horse experience at any shows you can get. I've been both. I’ve read through this thread with interest as I incorporate a lot of dressage into my training for eventing and jumpers, but not necessarily as an end unto itself. After last night’s dressage lesson, I thought I would pop in here and write some thoughts down as to what I think of the “2nd level” wall, as someone coming in originally from another discipline. Last night my trainer and I were focusing on canter work and for the first time I felt what a nice collected canter is with self carriage. We had it for just a few strides, but the feeling was incredible. My trainer said: “that is the feel we are going for. It is the kind of thing that will serve as the basis for the collection that is needed in 2nd and 3rd level dressage”. If that is the case, I can certainly understand what this “wall” is all about. It took a LOT of dedicated work over the winter to get my event horse to the point where he had more uphill balance and could begin carrying himself. Then going from that to what we felt a bit of last night was even more work. Yes, it was fun to experience that. To produce that type of ride consistently is going to taken even more work. It will be well worth it, but my impression is it cannot be rushed because the horse needs to develop the strength and balance to go that way all the time. As a relative newcomer to pure dressage, training and some aspects of first level feel like the foundations of good training, the type of basics that every horse should have. Good transitions and the ability to show bend in each direction (ie the 20m circles) are important no matter what the discipline. When I looked at the requirements in the 2nd level tests, it looks like the beginnings of more specialized work. Although I’ve schooled my horse in the individual elements present in the 2nd and 3rd level tests (simple change, flying change, SI, renvers, etc.) I wouldn’t necessarily say we are ready to put them all together in a test. A) Work on the movements bit by bit around my eventing and jumper training and eventually be able to put all the movements together in a nice test. B) Get to 2nd and 3rd level sooner, assuming my horse complies, by focusing solely on the dressage. Option B would require sacrifices in other areas of my riding. To really get good at 2nd level, I either have to give up some of the other things I am doing now with my one horse, or just wait longer and let things happen around all my other activities. I can certainly see why some people might not get to 2nd or go past it due to the dedication it requires to be successful at this level. Thoughts? I would love a good discussion on this, especially from those of you showing 3rd and above. Having busted through that wall recently I can say it is TOTALLY worth putting in the time to get there. I am having so much fun with all these cool 2nd/3rd level buttons on my horse and it makes for a much more fun flat ride. There is a 2nd level wall because of, like you said, the holes in your training show their cards and you either decide to fix those or you decide to try to fake it. Great points, I think you hit the nail on the head with not settling for mediocrity. Train smarter, not harder is a huge thing. Yeah...I was going to echo Tarra, I don't think you have to "sacrifice" something in order to do 2nd level (or higher). Your horse shouldn't need to be drilled every day in order to do the work. I think they enjoy the variety! Also, I think most people have down time at some time during the year. For us it's the winter, and it's a great time to practice some dressage only before pulling the jumps back out in the spring. I forgot something...getting consistent, knowledgeable instruction is crucial. Especially if it's beyond the level you have ever ridden before. Straight dressage really is fun! I agree! I often have some tiny crossrails set up in the arena while I do my Dressage work, and I'll pop them in the middle of my ride, long stirrups and all. It's one of the things I love about eventing, the horses really do appreciate the variety. I think that the judgemental eye of rail birds keeps some people away. It seems like anyone without Totilas is told to stay home and school more (while Totilas himself is blasted in other circles) and people on average horses feel the pressure. Not everyone can have a fantastic mover, and it should be OK to have fun at a dressage show, sometimes they are like funerals. That's a good point. It's not always going to look good while you're working up toward being Totilas. Not that you'll ever get there unless you're Valegro ;-). Kidding. To do 2nd and above, you need to really work at it instead of just "hey my pony can put his head down and trot pretty for a few minutes". 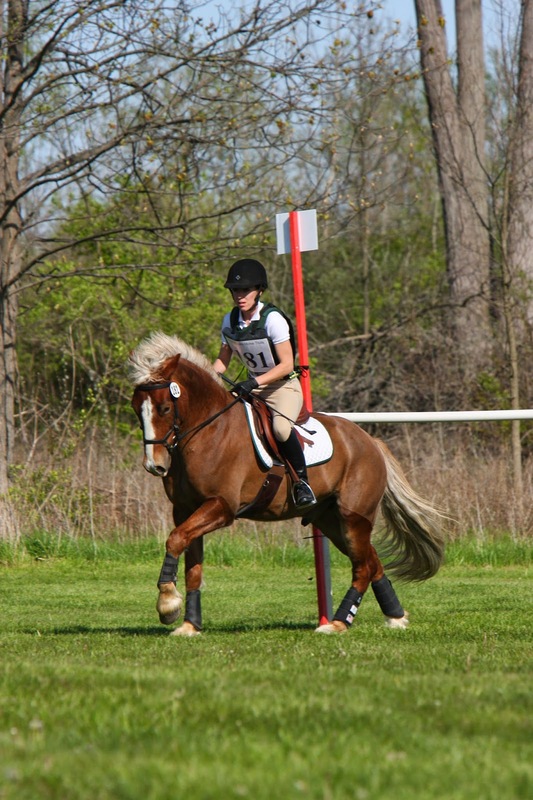 Whether you're an eventer, a trail rider, or a straight dressage rider, you may or may not have the time, energy and money to get to the point that you can really focus on it. I'd also say that very few people have the opportunity to ride fancy schoolmasters and get a feel for what could be. Couple that with the fact that dressage is a pretty spectator-unfriendly sport, and it's hard to find the motivation. Anyways. Lots of reasons. We could have the same discussion about jumping 3'+ courses or going training level (eventing). There is always that point where you really have to commit, and in the modern world, not all adult ammies can. ...I should probably just write a whole post on this. White breeches indeed, what a stupid idea on so many levels...polka dotted underwear and green slobber being two of those levels. I had a line in there about being lucky enough to be near a schoolmaster/able to afford a schoolmaster, but I took it out. It's definitely part of it, and it's part of getting past second level quickly, but it's not all of it. You're absolutely right, we could be having the same discussion about anything. The thread and my lessons just dovetailed on Dressage for this one. I've never more clearly understood the thread author's meaning than I do now. The biggest takeaway I think is that there's NOTHING WRONG with smurfing around at 2nd level (or Novice or 2'9), the author is just trying to understand why that seems to be the definitive wall. I don't compete 2nd level but my mom does, she is in her second year. The amount of work she puts into is insane. She has a really nice horse - she is amazing actually - but she isn't a $30k warmblood. She can do a beautiful and accurate test but it at times is still just not competitive at this level because there is no bounce factor, fancy WB factor (compared to the others that is). She was 4th in the Province last year and that is pretty good for a once nervous rider on a small mare. This year she is having difficulties and thinks her horse might be topped out at Second level. She is either going to go back to a youngster or consider getting a horse capable of Third level. 2nd level just seems like a place to get lost. That's one of the things I find most interesting, is that there is a place where horses top out for whatever reason, no matter how good the rider is. Props to your mom for doing so well! It reminds me of Karen and Hampton, people said they couldn't do Third level and yet she is, and she's doing well. I would be in the category who just doesn't have the patience to get disciplined enough to make it to 2nd level. Neither me or my horse like it all that much, but to each their own. Exactly. There's nothing wrong with not being motivated to get "there" in any equine sport. Do what you love. I love dressage. I am totally dedicated to every aspect from my position to my saddle to the hours of training and study. I love the small successes and love what my completely unfancy horse can do even if it will never impress a judge. However, I have never shown past first level. I am not interested in spending that type of money on an instructor, lessons, shows, or a more purpose bred mount. I can manage a decent first level test on my own, but second level is where I can no longer bridge the gap. 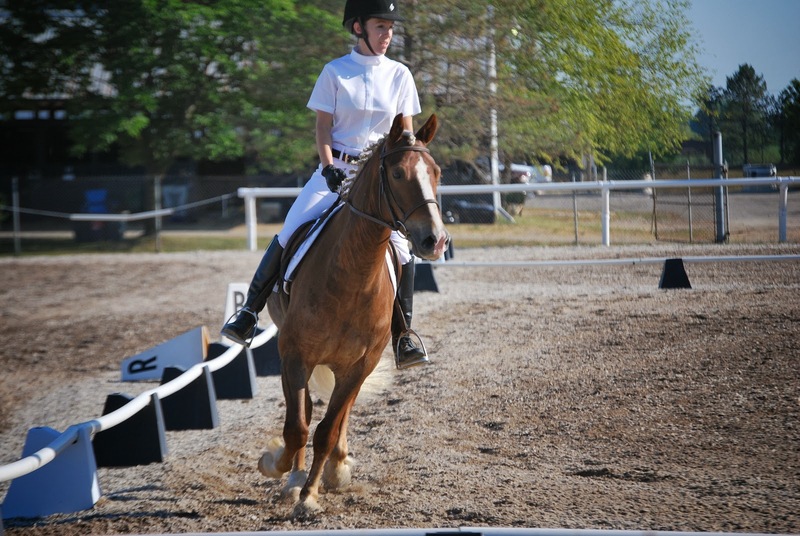 My lack of a dressage court is a very basic missing component. Also, it takes so much time to show at second level that each time I have approached it, something has happened that stopped my progress (horse sold or passed away, I got married and moved, my horse's health limits our work, and now I had a baby!). Truthfully, I always thought that third level was more of a wall, because some horses don't have the strength or balance for flying changes, extended gaits, and half pass. I remember hearing more than one trainer tell me that any horse can make it up to second level. Third is where it gets really hard. Oh, but can I just say that I strongly dislike the counter canter serpentine in second one. It is a real PITA on a horse that likes to flying change! Ha, the flying change was one of the reasons people gave in the thread - they'd rather school flying changes and wait to show at third. I am loving this discussion - so what you're saying is that 2nd level is more the rider's limitations and 3rd is more the horse? 2nd definitely requires a Dressage ring, I think - I could manage to do a decent 20m circle having not practiced in a Dressage ring, but the more technical stuff, no way. Especially not for a long court test. Accuracy becomes more and more important as the movements arrive closer together. I can eyeball a 20 m circle, but I need markers for serpentines, ten meter circles, and all the preparation and timing for each test element. Love this topic and post. I should do a post myself on it because I have so many thoughts and feelings on the subject. Why do people tend to get "stuck" at 2nd Level or before? - Showing at Second is HARD. To be honest, it is a beeeotch. I think that most horses are quite capable, but I will say that the first time I went into the ring at second level (which was only last year!! ), I was in for a rude awakening. You can no longer just coast around the ring. It will test your accuracy, your horse's balance, is he truly on the aids? ... You have to be super accurate now or you will blow the next movement. I think this scares a lot of people away that 1) maybe don't have the right instruction to help them through this or 2) just don't want to put in the hours practicing. This is the level where A LOT of people send their horse to the trainer. Or at least want to. And maybe they can't. So they stay at First Level. - All of a sudden the work is harder and it is not uncommon for horses to start voicing opinions all of a sudden. This holds true for Third Level as well (as I am finding out. ha). - The phase between second and third level can be full of a lot of ups and downs. Some people don't thrive on this. (which is totally fine). Also your scores at shows typically will be lower, especially if you have a normal horse. Maybe you were scoring 68% at first level and now at second you scrape by with a 60. This is discouraging to a lot of people. ... I could go on. lol. Good topic! I am so glad you chimed in, I was thinking a lot about you and Hampton as I wrote this, because you've put in the time/effort, taken your lumps, and recognized that all of the riding ability in the world can't make every horse a GP horse. Jen of Wyvern Oaks messaged me yesterday to make the same points, she said to ride a 2nd level test sometime and see how quickly everything comes up - I haven't put the pieces together in a test yet. I'm also really glad you and Kelly both pointed out that the horse can start objecting to the more difficult work at some point. Is that okay? Is that a growing phase? I mean at some point they objected to like, being ridden at all, right? So is it okay to push them through a phase of "I don't necessarily want to do this..." because they eventually get used to it, or should they want to do it? Things I am wondering with Connor right now that your post made me think of. Of the levels I've spent the most time at, second (and a little bit after that was fourth) level was the first big gap. I think the biggest thing for myself was the sheer amount of fitness a horse needs to get through those tests, you see the development of the three tours, the medium paces, bending lines, lateral work, and a few other things. Plus the amount of time to gain that fitness. I went from basically bopping around three to four days a week to riding six, with a conditioning day in the mix. But mostly, it's where you start upping the ante on the horse, and start riding collection, which you'll inevitably get a reaction from. You can't go around riding like a hunter. This can and will be scary to a person who is not confident enough to kick on through the issues. I'm so glad you chimed in, Kelly, since you've made it well past the wall. Someone once described Dressage as weight-lifting for horses, and that some horses would rather lift a moving box with their back and not their knees because it's easier. Your last paragraph is particularly eye-opening for me. Just last night in my lesson we were doing 10m sitting trot circles to canter transitions, slow and sitting (I won't say collected yet, but working toward it), and he was definitely objecting. Not in a big way, but with 100% listening instead of 90% listening 10% forward ears, and with the occasional tail swish or attempt to race forward out of the "collection." I feel bad for making him do it, but the work he was giving me was really good. So is there an expectation to "make them" for a while as they get used to this type of work and start to accept it more? I feel like it's a fine line, and it does scare me, that I could make him sour the harder the work gets. This is going to be long, sorry for the diatribe! It is a bit of weight lifting, it's also somewhere in the realm of yoga, and an endurance as well. The time of the tests, the strength and capacity to show marked differences in, out and between the gaits in certain ways takes strength. The other fact is we're dealing with a breed that would rather pull, than carry, with thick necks and a hind end that really tends to be built out instead of under. They have a weaker canter, and are very naturally quick. It can be hard to make them collect in the first year especially since the MO for the first however many years, has been- it's ok to be long. The idea to a mature horse is that you're changing the rules and their contract of what's required of them, they're going to be a little snarky about it until the accept and develop the strength to really do it. It's a theme you're going to hit quite a lot when you make the transitions from the lower levels to the FEI. Even now, it's taking me what feels like an eternity to finish and develop the ones, a solid piaffe, passage, and clean up pirouettes. It's why we develop the concept of balance and collection from a very early age (I begin now really collection at four- even if it's for a few steps, they have to accept the pressure). So by the time they go second onward they have the strength, and it doesn't become an issue. So, with any strength building program, you have to do it, but do it in stages. If the idea is 20 meters worth of collection- then start with five good meters and build from there. But be prepared for a solid time of I don't wannas, you can't make me's, you want me to do what, where's, tra lalalalala I'm not listening's, and my personal favorite: the middle hoof. Until he gains the strength, and the acceptance. I don't know much about competing Dressage as my lessons were woefully basic when I took Dressage lessons. But yes the tedium of it is what dissuaded me in the end and I do dressage exercises on my jumping ponies but I think knowing I'm gonna jump makes the more tedious exercises bearable.